Sun and Sabrina doing that they always do. Cameos! With the last Kickstarter, I offered a tier for backers to cameo in the book. Andrew and Bruce took advantage of the offer and are now in-canon characters of Rival Angels before the series ends. I was lucky enough to meet Andrew at this year’s Anime Milwaukee, and Bruce I’ve known of for a while, as he also had a cameo in The Dreamer a little while back. Thanks for the support, guys!! 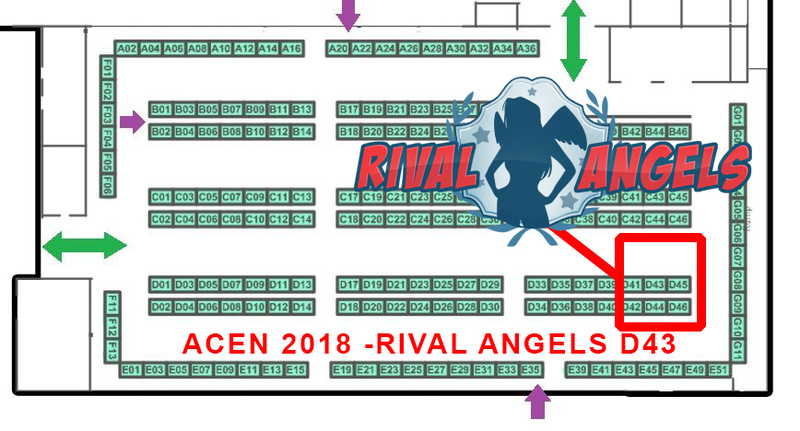 I’ll have a table setup at Anime Central in Artist Alley, at Table D43. If you plan on going to the show, do come by and say HI! One last time fans are living the dream. Also am I the only one who senses another wedding towards the end of this series or am I not ?